"Lose the crinkle and bulk of a synthetic windbreaker with our Scout Jura Full Zip. 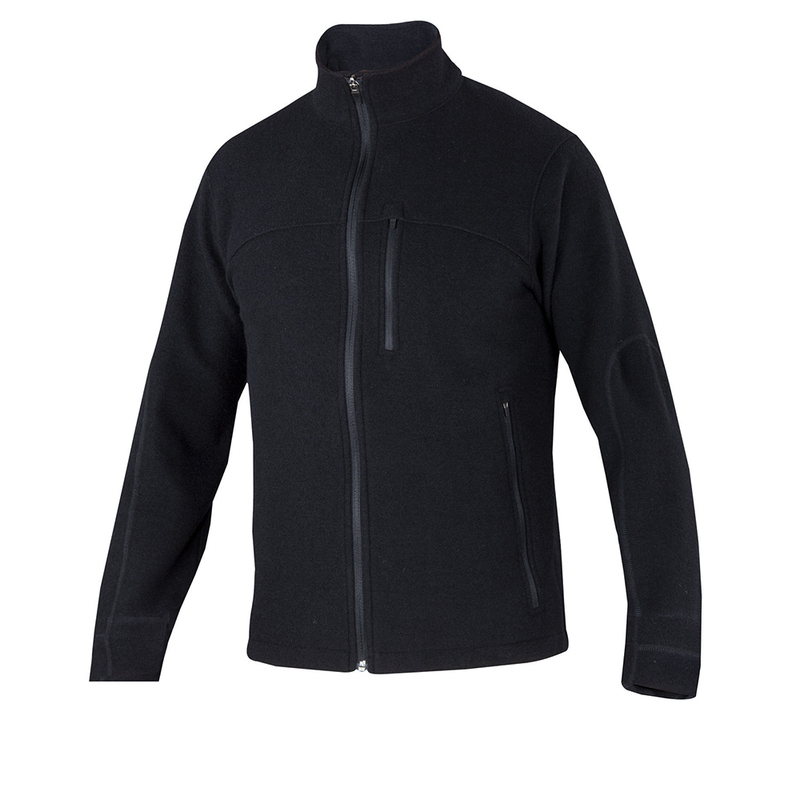 The warm Merino/polyester blend of our milled bouclé resists wind and maintains a smooth internal face for comfort as a second layer. Our boucle fabric is a milled double knit with a textured look and double layer construction — for added insulating oomph. In a lighter weight, this fabric is mid layer that performs well on the trail but also fits in over dinner with friends or a day at the office."